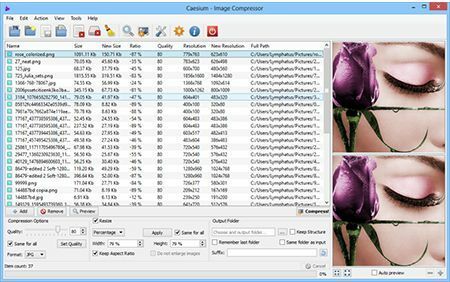 Caesium is an image processing tool that can reduce the size of pictures up to 90 percent. Perhaps you want to save space on a storage device by cutting down the size of a picture, or you are optimizing pictures for a blog or a website for speedier loading. 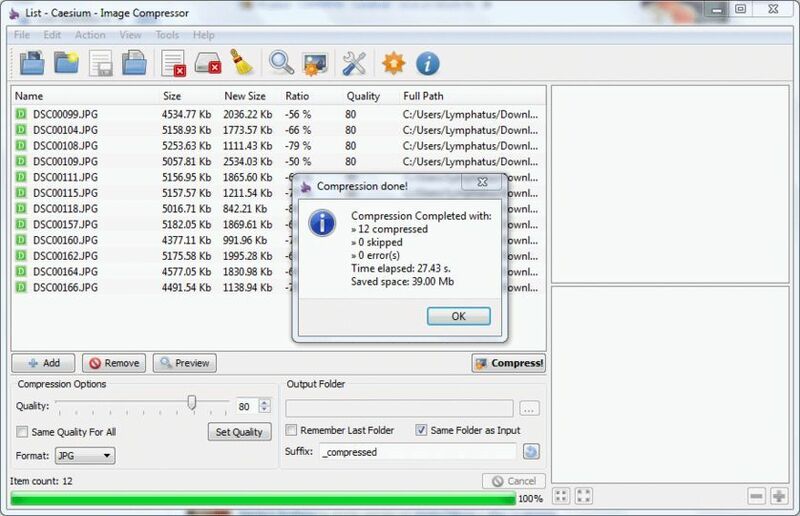 Caesium can batch process a large amount of pictures and preserve image quality while reducing the file size. NOTE: This PortableApps version includes no installer.